Unless sensory control is coupled with developmental flexibility, organisms are unable to produce adaptive phenotypes in response to environmental risk cues. However, empirical examples of adaptive phenotypic plasticity focus largely on development and rarely on sensory control. Here, I ask whether past exposure to predation cues affects an intertidal whelk’s (Nucella lamellosa) sensitivity to the scent of a known predatory crab (Cancer productus). I pre-conditioned whelks for 30 days with the smell of crabs eating other whelks and then, after a period of rest (14 days in fresh seawater free of predator effluent), re-introduced them to different concentrations of waterborne crab scent. 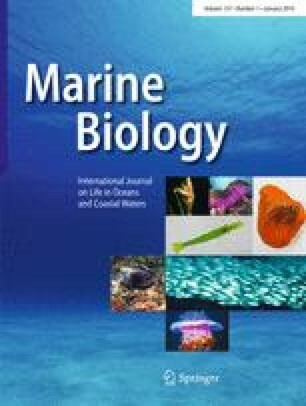 Relative to controls, pre-conditioned whelks expressed crab-defences at significantly lower concentrations of crab effluent, suggesting the pre-conditioning reduced their risk–response threshold. Results remind us that the full scope of factors controlling adaptive phenotypic plasticity in natural populations remains underappreciated. Thanks to A. Richard Palmer for helpful discussion and funding and to the helpful staff at the Bamfield Marine Sciences Centre for logistical support (esp. Bruce Cameron). This article was improved by critique from two anonymous reviewers, thanks. Specimen collections and experiments were funded by a Natural Sciences and Engineering Research Council (Canada) Discovery Grant A7245 to A. R. Palmer; writing was funded by LGL Ltd. environmental research associates.